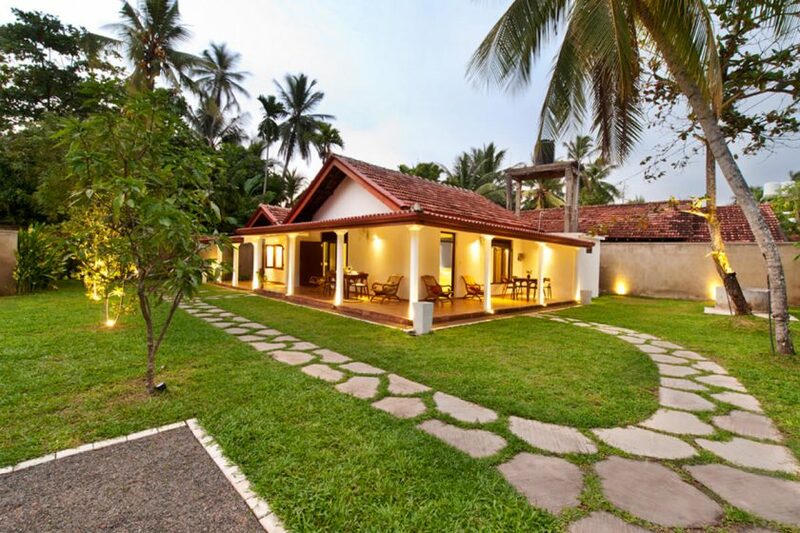 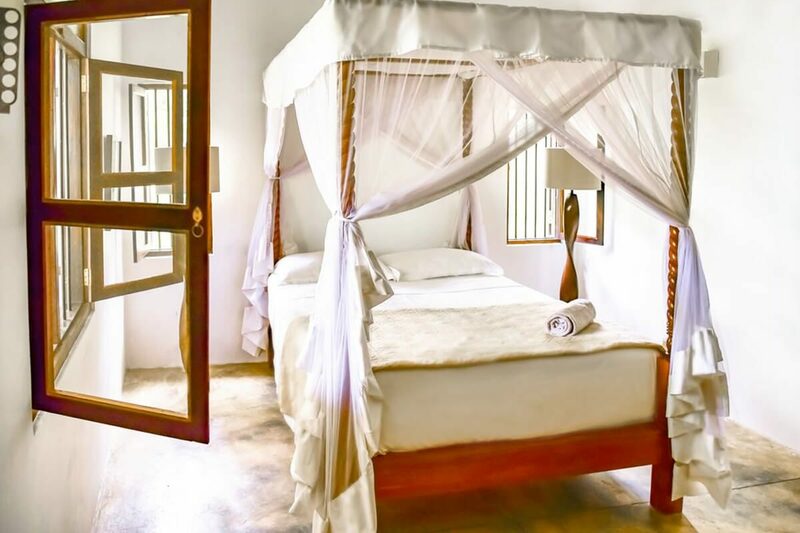 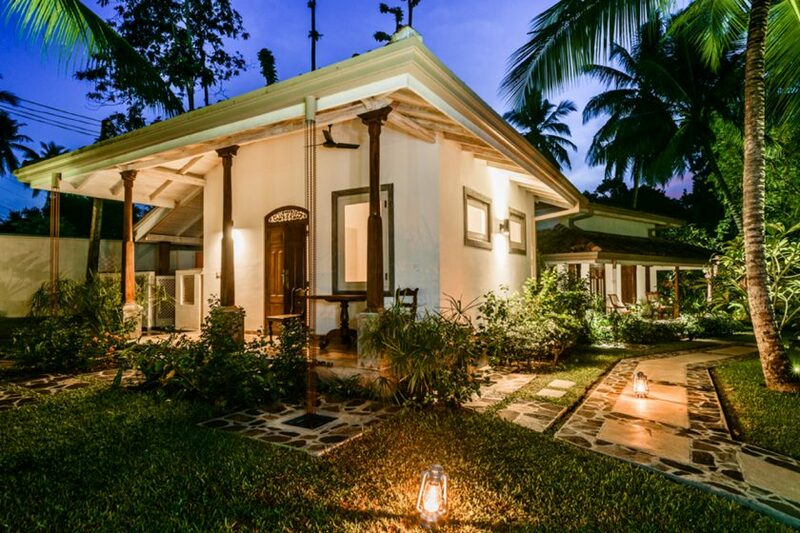 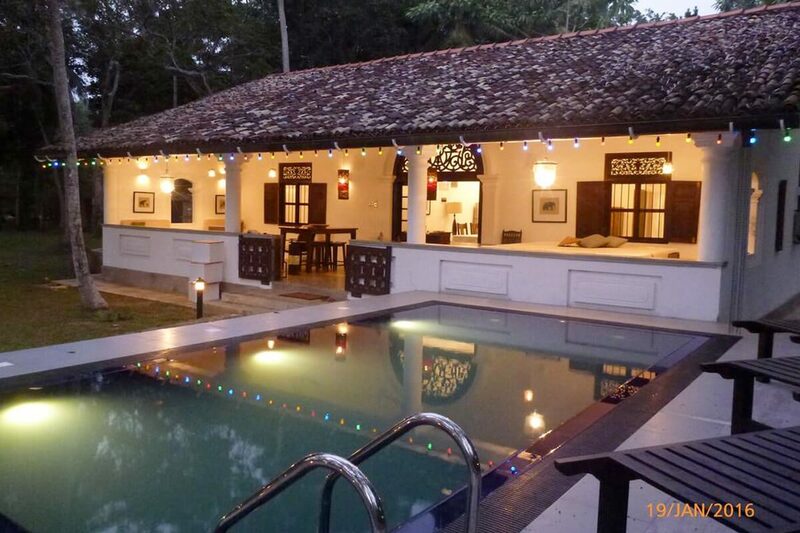 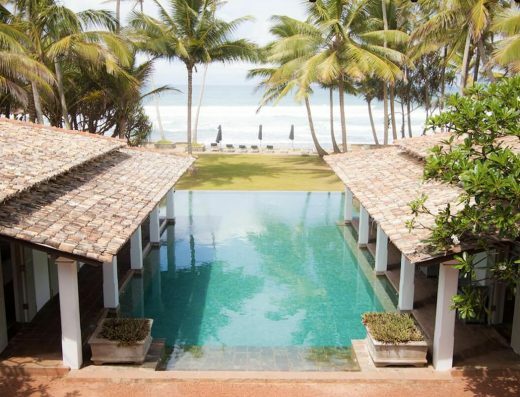 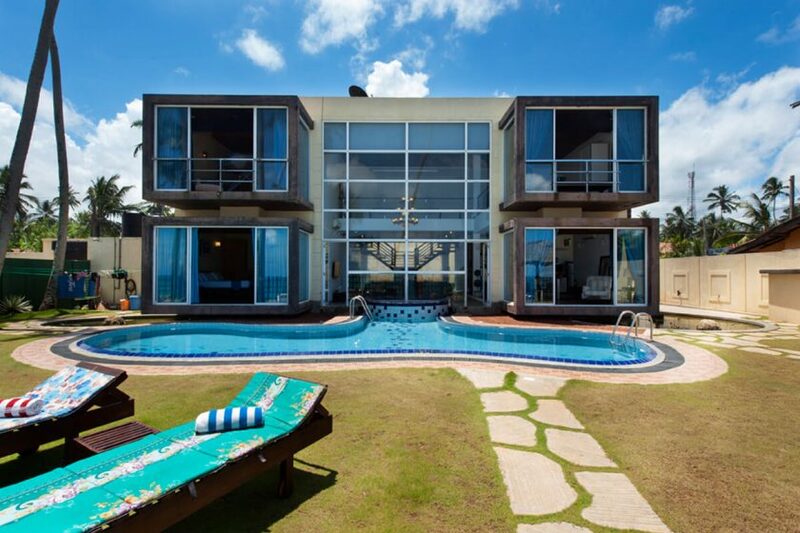 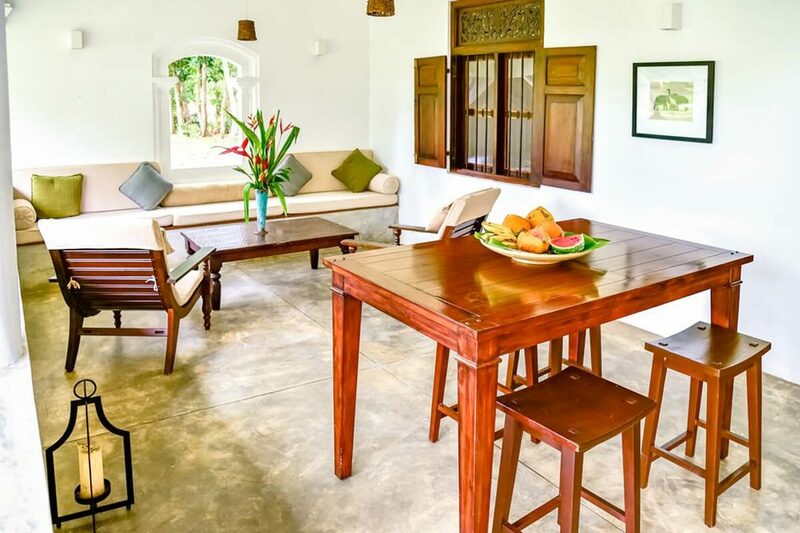 Dansala Cottage is a private villa for rent in the Galle Area, in Southern Sri Lanka. 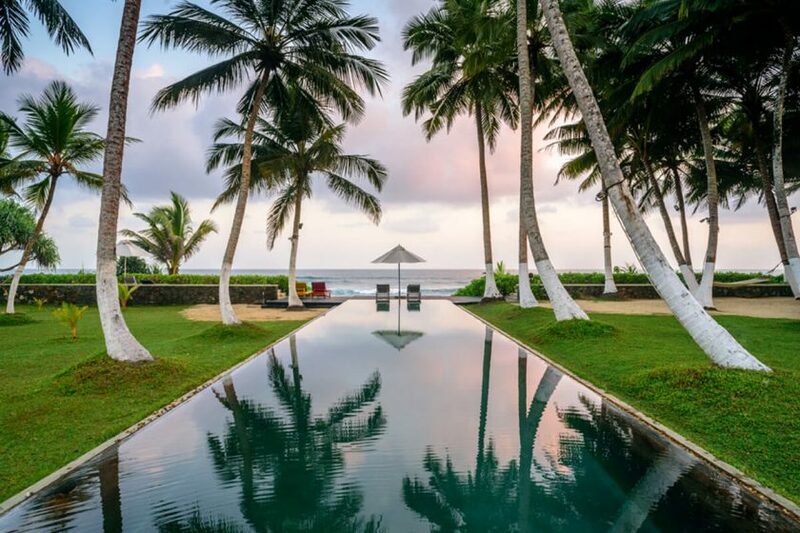 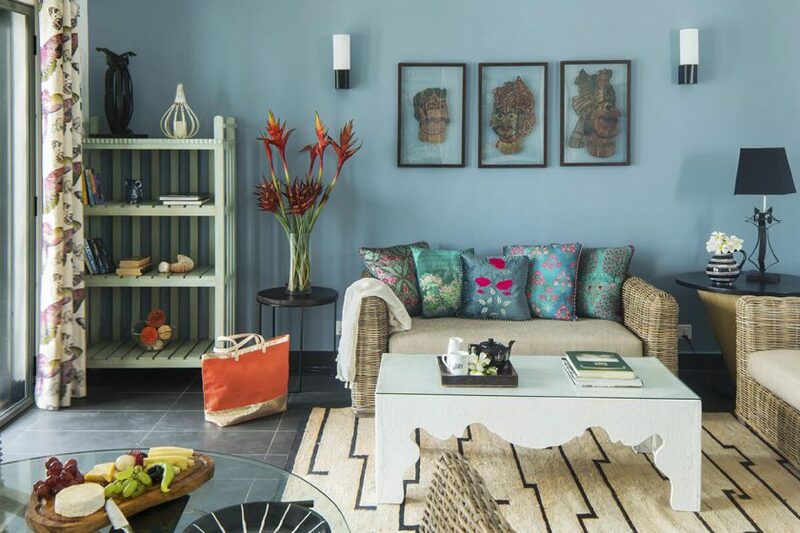 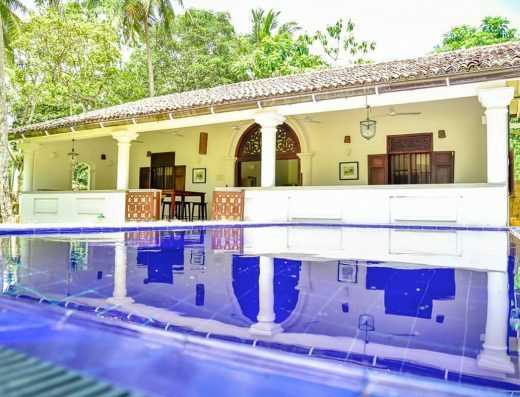 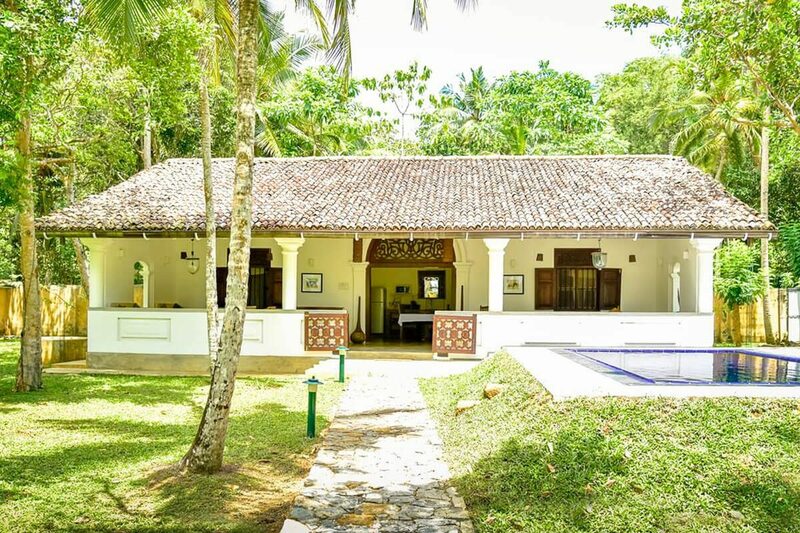 A picturesque lakefront cottage conveniently located along Koggala Lake within 5 minutes of Sri Lanka’s renowned Southern Beaches..
Dansala Cottage is a private villa for rent outside of Galle on Sri Lanka’s beautiful south. 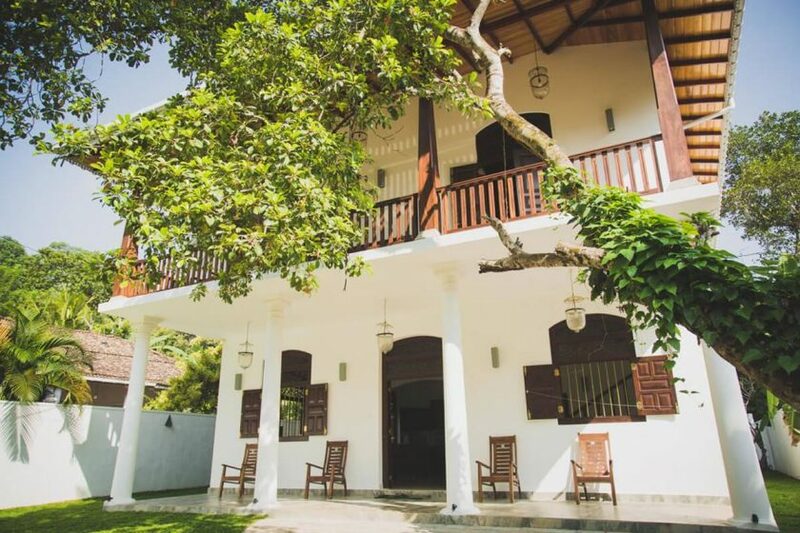 A picturesque lakefront cottage conveniently located along Koggala Lake within 5 minutes of Sri Lanka’s renowned Southern Beaches, Dansala Cottage is an ideal place to enjoy the beauty of Sri Lanka. 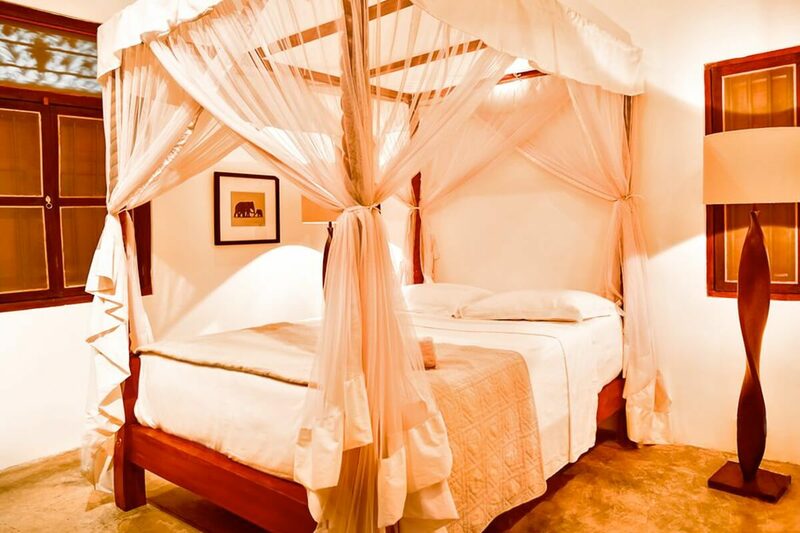 2 Bedrooms are fully air-conditioned and furnished with elegant, comfortable four-poster beds provide a quiet setting for a good night’s sleep. 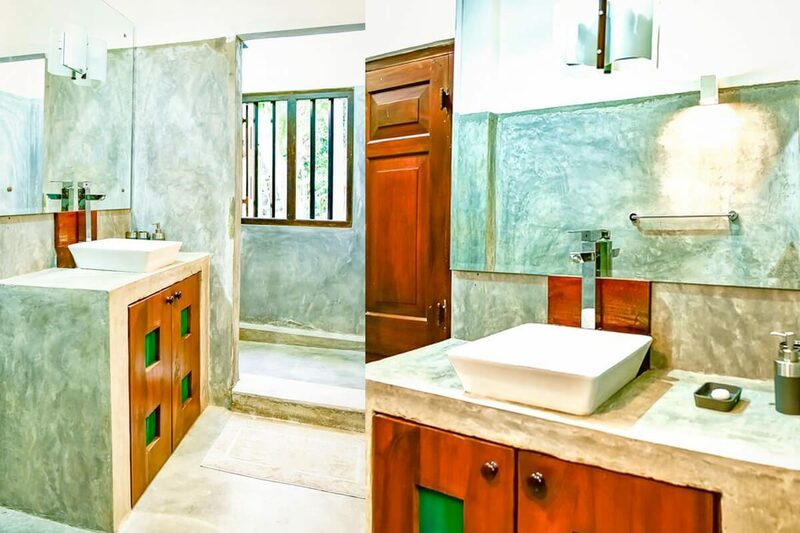 En-suite bathrooms are fully equipped with modern fixtures and hot water. 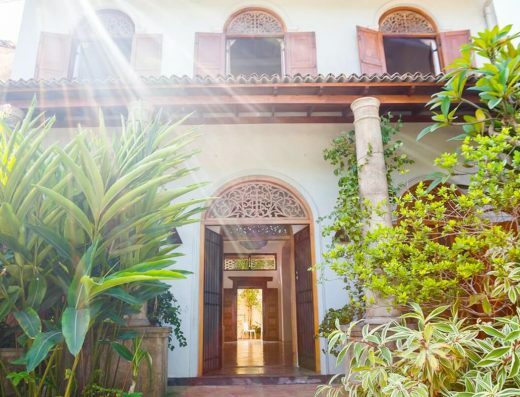 WiFi connection can help you stay connected. 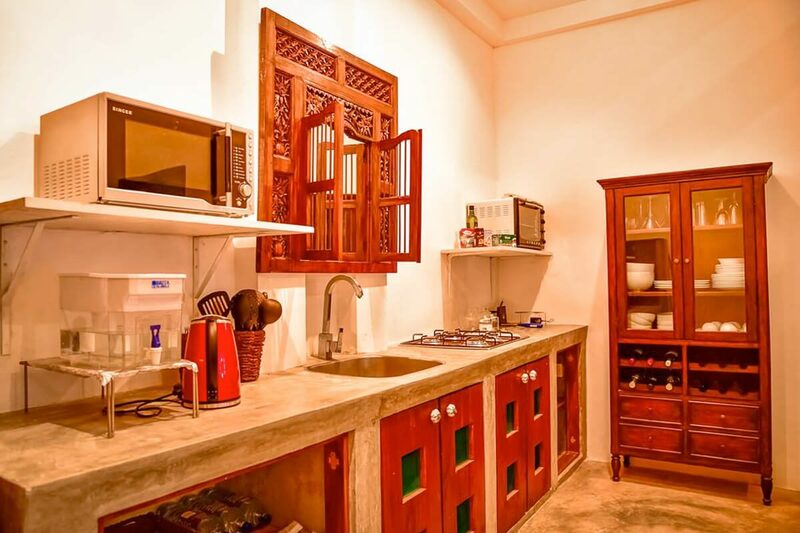 TV and Satellite channels are also available for entertainment. 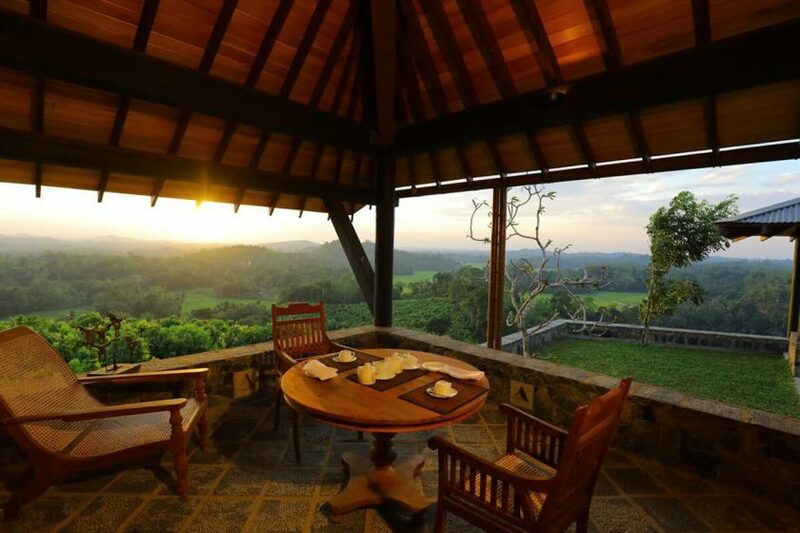 Surrounded by two acres of lush land with dozens of fruit trees, Dansala offers peace and tranquility. 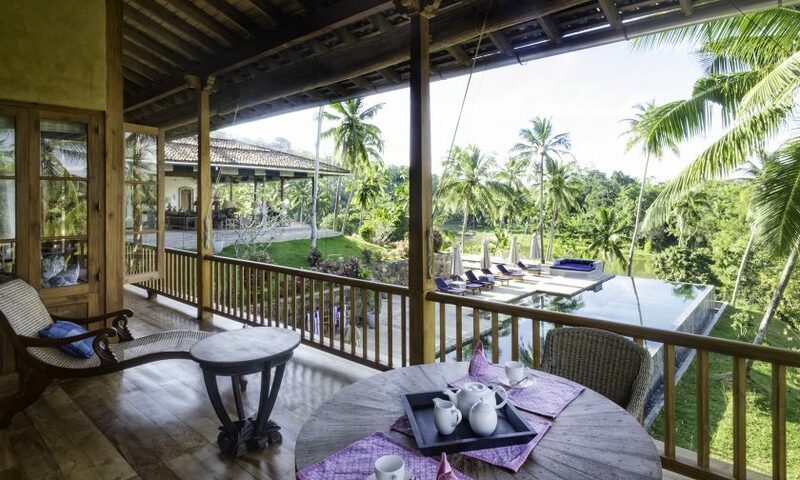 A secluded, eco-friendly property with cinnamon, coconut, cashew, mango, and several other indigenous flora welcomes a variety of birds throughout the day; early mornings at Dansala are particularly magical. 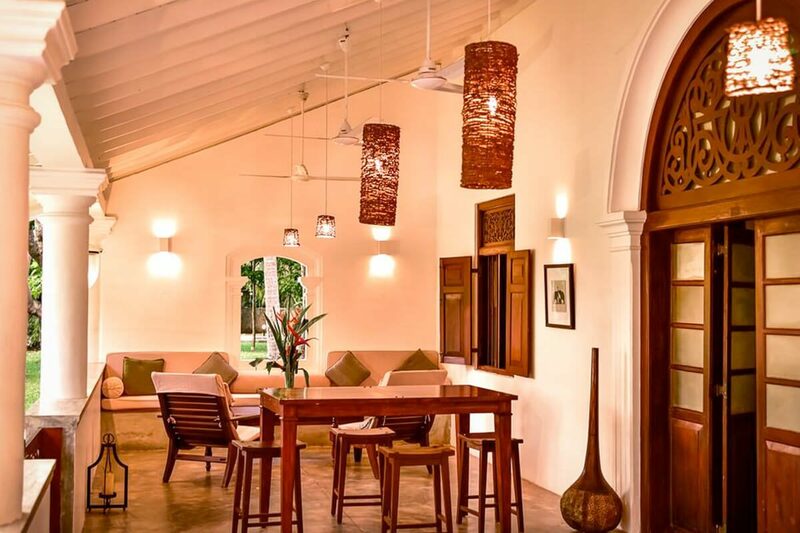 An artfully decorated veranda with lounge areas and seating offers an ideal setting to take in panoramic views of Koggala Laka. 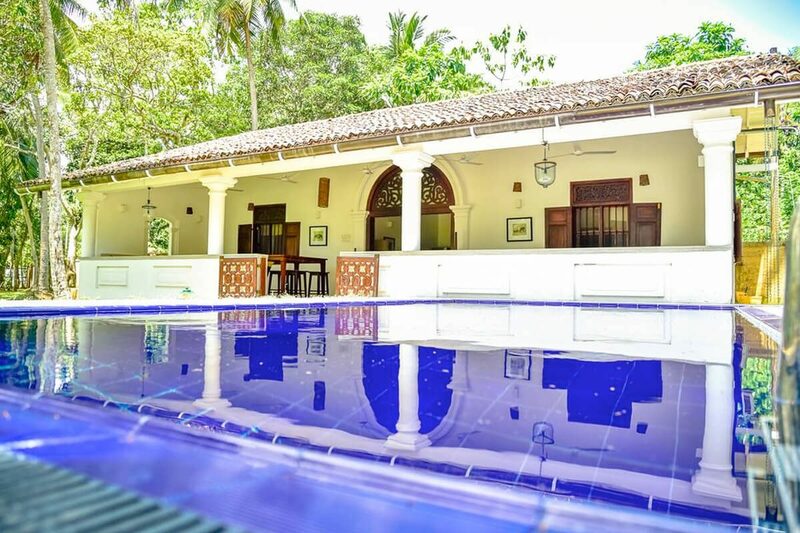 A tasteful pool adjacent to the veranda is a perfect spot to cool down, relax and indulge in the serene setting of Dansala Cottage. 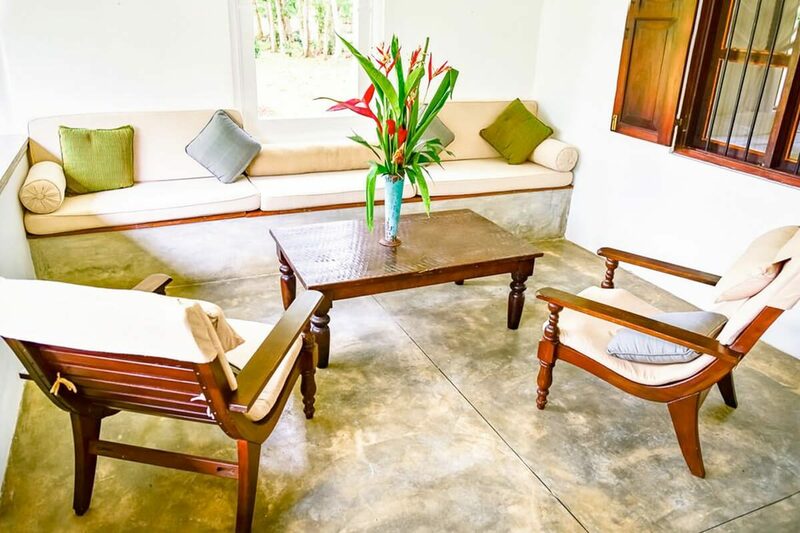 Accessible via the Southern Highway and a short 5-minute ride to the beach, Dansala is the perfect quiet sanctuary – tucked away, yet centrally located. 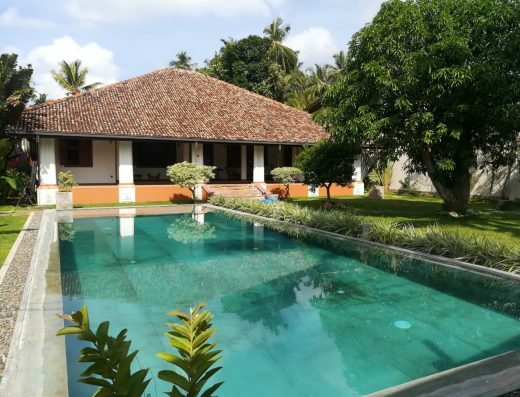 Enjoy easy access to attractions such as the Old Dutch Fort at Galle, Fortress Hotel, Stick Fishermen at Ahangama, Unawatuna Beach, Bird Island, the Martin Wickramasinghe Museum and boat rides to Spice Island on Koggala Lake.